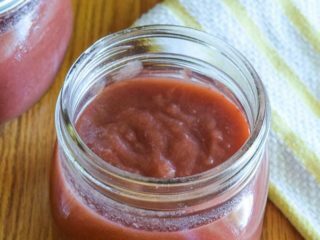 Skip the store and make a batch of this delicious instant pot strawberry applesauce at home instead! 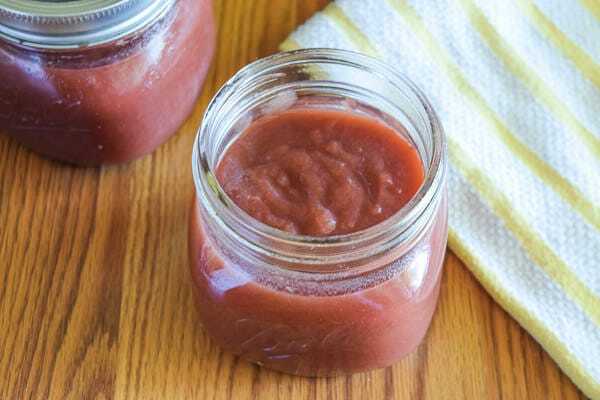 With just 5 ingredients and a 5 minute pressure cooking time, this instant pot applesauce recipe is a winner! We went on vacation to Disneyland last week and I completely forgot about the big bag of apples left on the counter. When we came home from the happiest place on earth the apples were (surprisingly) still okay. They weren’t moldy or squishy, but I could tell they would be soon. I instantly thought of making applesauce since my kids love it and I don’t like to waste food. That morning I had also discovered with had way too many bags of half used frozen fruit in our freezer. We love our smoothies, but you can only drink so many. So, I decided to experiment with making instant pot strawberry applesauce. Let me tell you, this instant pot applesauce is good! My daughters loved it (it being pink doesn’t hurt) and ate a good portion of it before I could even take pictures. 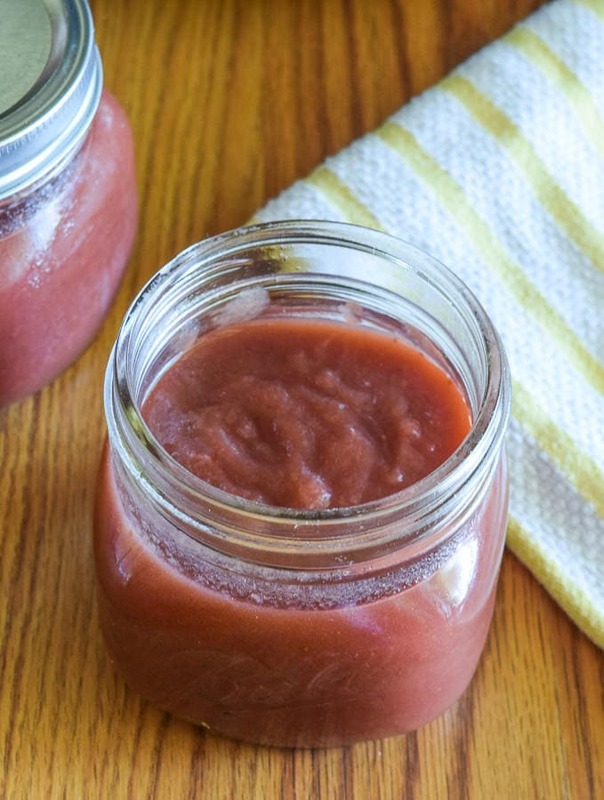 This recipe makes about 3 pints of strawberry applesauce. You could easily double in 6 quart or 8 quart instant pot. This is the instant pot I have (affiliate link). Can I make this instant pot applesauce without sugar? As you can see, I did add sugar to my instant pot strawberry applesauce. It comes out very sweet. Not sickly sweet, but definitely sweet. If you’re trying to watch your sugar intake, you could totally cut back or even eliminate the sugar all together. Once your instant pot applesauce is done cooking, you can taste test and add in a little sugar if you feel it needs it. Add fruit to the inner bowl of your instant pot. Pour in water, sugar, and salt. Mix. Blend until smooth using an immersion blender or stand blender. Frozen strawberries may be used for this recipe. The sugar may be lowered or eliminated, depending on taste. 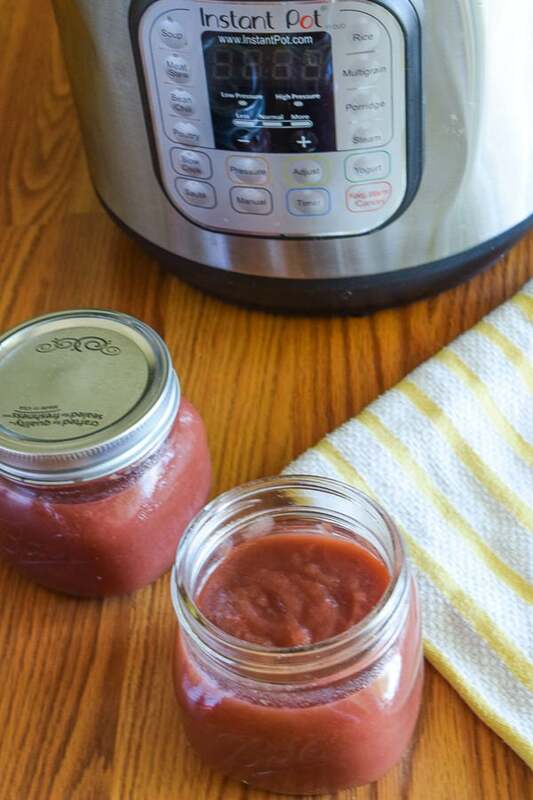 Did you try this recipe for instant pot strawberry applesauce? Let us know what you thought below with a rating and comment. You can also tag us with your creations on social media using @aileencooks. I made this yesterday and it turned out perfect! The best consistency and the best flavor! The whole family loved it..l want to pick apples this fall and make it in a larger quantity but need to know if it can be frozen? Hi Karla. I’m so glad you liked it. Yes, it’s freezer friendly. You can do it in glass or plastic containers. If using glass, make sure you leave 1 inch of headspace.